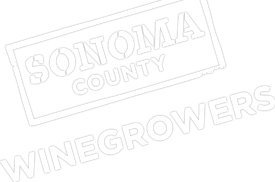 Ending five straight years of expansion, new vineyard development leveled off on the North Coast in 2014 as growers turned their attention to replanting existing vineyards. Figures released Thursday by the U.S. Department of Agriculture showed there were 132,004 acres of vineyards in Sonoma, Napa, Mendocino and Lake counties in 2014, a decline of 0.5 percent from 2013’s record-setting 132,697 acres…At Silver Oak Cellars, vineyard manager Brad Petersen is in the midst of replanting vineyards at the old Sausal Vineyard & Winery in Alexander Valley, which his company purchased in 2012. The site has about 75 acres of vineyards, primarily small-lot zinfandel planted in the 1970s and 1980s, which are being replaced with the cabernet sauvignon vines that Silver Oak is known for.